A move towards Youth led evidence-based advocacy on contraceptives. There is increasing realization of the need to conduct evidence-based advocacy for high impact adolescent health interventions. The SRHR challenges facing today’s young people though widely known, require evidenced interventions if impact is to be realized. In generating this evidence, its crucial to have young people meaningfully involved as they know best the challenges that they face and the interventions required to address them. Thus, Uganda Youth and Adolescents Health Forum (UYAHF) a youth led and youth serving None profit organization in partnership with AfriYAN – Uganda Chapter, a network work of SRHR based youth led organizations and Restless development Uganda have conducted youth-led research to further understand the need, availability, and accessibility and utilization of contraceptive services to young people living in the areas of Jinja and Mayuge districts in Eastern Uganda. The research is being conducted under the My Voice My Rights Project implemented between Restless Development, AfriYAN Uganda and Uganda Youth and Adolescents Health Forum with and aim of building the advocacy capacity of young people to advocate and advance for scale of quality SRHR services and comprehensive sexuality education through engaging law makers and policy maker. The youth-led research involved two components; the quantitative and qualitative components. The qualitative component explored, the challenges faced by young people in accessing contraceptive services, and recommendations for improving utilization of the services. This involved key informant interviews with duty bearers such as; health workers, district health officers, community development officers and parents. Further, focus group discussions were held with young people to facilitate a deeper understanding of the issues affecting young people’s access to contraceptive services. The quantitative component involved interviews with out-of-school young people. It is intended that the results of the youth-led research will inform and provide evidence to the advocacy efforts of the My Voice My Rights Project in the districts of Jinja and Mayuge as well as at the national level to advance scale up of quality youth friendly SRHR services with focus on access and use of contraception. 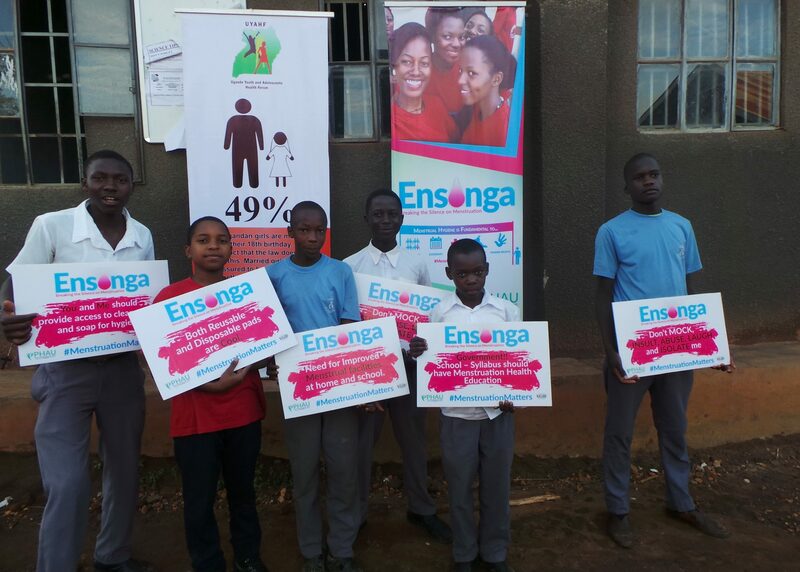 In the long run, this would contribute to reduction of teenage pregnancy and improve adolescent health outcomes. This entry was posted in Uncategorized on January 10, 2017 by patsewa.